This is feeling pretty good so far, but I found some minor issues. 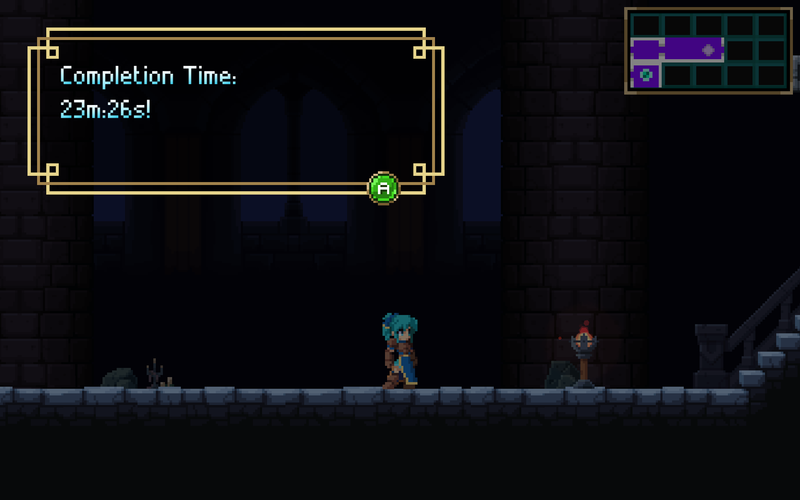 The acceleration/deceleration should be disabled if you want it to feel like Aria Of Sorrow / Dawn Of Sorrow / Portrait Of Ruin, which are all great games that seem to inspire this one. They have 0 acceleration/deceleration when walking, so you have total control over the movement of the character. There's a similar issue with jumping. In those games listed above, jumps' vertical momentum stops immediately when the jump button is released, which allows for very precise attack points in mid-air. In Forsaken Castle, jumping floats beyond the target point. Another issue is that the back of the whip doesn't deal damage. In Portrait Of Ruin, the back of the whip deals damage. This can be helpful for quickly attacking something approaching from up and behind. Switching directions in the air doesn't work quite the same way, but this might be due to the horizontal acceleration/deceleration. Played through it; very fun game! As a fan of Aria Of Sorrow, Dawn Of Sorrow, and Portrait Of Ruin, I'm excited to see where this game goes. I would buy it with the right feeling of character control. Bludgeons & Krakens community · Posted in I beat the game. It was really fun. I tried using Levitate and Ethereal form, but neither worked. I tried being in several positions around the area and it seemed to fill the entire area, so I really have no idea how it's done. Bludgeons & Krakens community · Created a new topic I beat the game. It was really fun. I beat the game, including the dude summoning the maelstrom and all the quests in the world. It took me about 15 hours. It was really fun. Thanks for making it! Baal was impossible for me. It did its inferno for 10000 damage and even ethereal form didn't prevent the damage. I'm not sure what to do there. 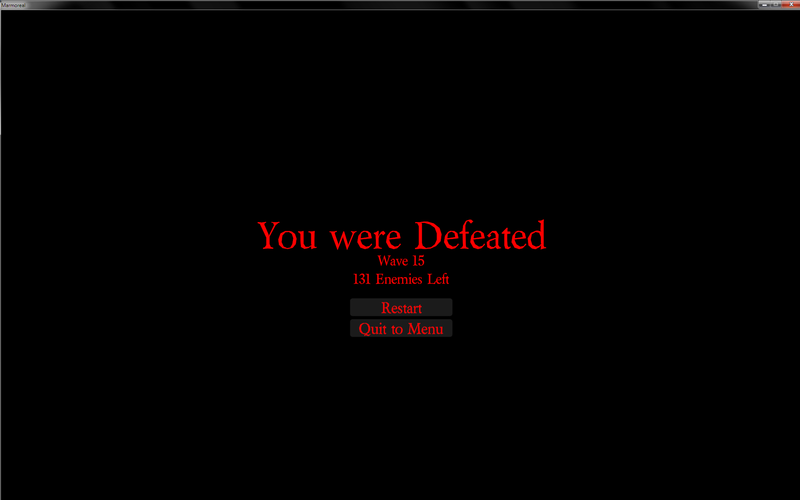 Everything else was beaten though, so that rocked, at least. Bludgeons & Krakens community · Posted in New player; how to spend unspent attribute and skill points? Ah, I figured it out. There's a trainer in the top-right area in the first town. Somehow, I'd missed that building in my exploration. Bludgeons & Krakens community · Created a new topic New player; how to spend unspent attribute and skill points? I just started playing the game and beat up a bunch of orcs. I leveled to level 2, which gave me 5 attribute points and 2 skill points. Now, I see in the character menu, "Unspent Skill Points: 2" and "Unspent Attribute Points: 5", but there is no obvious way to spend these. I don't see any keyboard keys in square brackets on this menu. How do I spend these points? I just beat seemingly the last puzzle in the game, as it looped to the start screen after. It is a fun little puzzle game! I enjoyed it, and it had the perfect length for me. Is it possible to do better than 8th place? It seems like the computers have better ships that accelerate more than doubly as fast and have much higher top speed than the player's ship. They ram into walls and still just accelerate out of it like it was nothing. Meanwhile, I can turn almost 180 degrees to avoid ramming the walls because of the space physics, but still get wrecked by the bots smashing into the walls and accelerating away at overpowered rates. Nice 3D engine, by the way. It's great to see such stuff being made in D.
Edit: Oh, there's a "boost" key that must be held. I held it at all times and got 3rd place. Thanks for the explanations! Yes, Doggo speeding up when there are no enemies is great! It's nice to get a feel for how many enemies are moving around by seeing the speed, and to know that no time is being needlessly wasted. Regarding handling inventory items, please make Doggo just drink the potions like before. The good point of the previous version was that there was no interaction other than choosing a stat build strategy on the fly. Equippable items should not have negative stats, also, and Doggo should just equip any with higher total stat points, with luck determining their spawn rate, which can be much lower than currently at the lowest luck. With these changes, inventory management will not be manual, and it will feel as nice and relaxed as before. By the way, in the previous version, when I got to luck values above about 45, the game started lagging extremely on every new floor generated, until at 50 luck, I let it run overnight and it had remained hung, I'm assuming forever. Also, please no full inventory! I liked the previous version more, as it never paused.